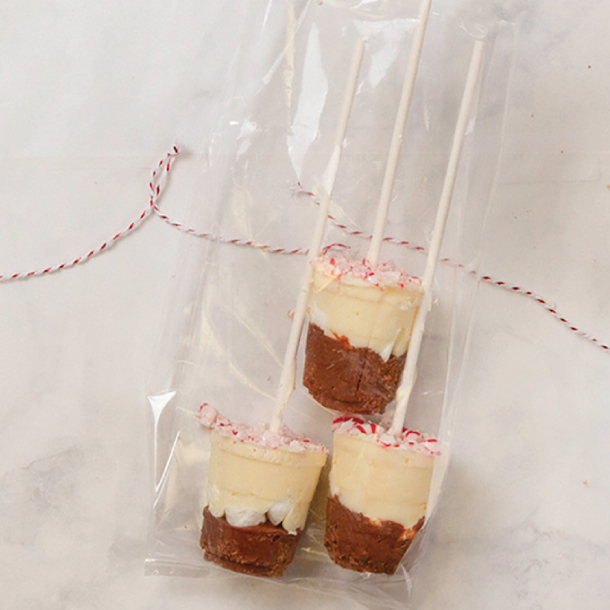 Add some fun into your hot cocoa this season with these Food Club® hot cocoa dippers. Melt white and milk chocolate chips in separate bowls. Fill mini cups halfway with milk chocolate, top with crushed peppermint candies or mini marshmallows, and fill the rest of the way with white chocolate. Insert lollipop stick and put in refrigerator until set (about one hour). Once set, remove from mini cup and stir into hot milk for the perfect hot chocolate.